Three nurses and a doctor in a hospital room during a nurse’s clinic. St. Joseph’s Hospital, Victoria. Source: Canada Department of Manpower and Immigration / Library and Archives Canada. In 1966, the Canadian government passed, the Medical Care Act, establishing a set of principles for a national public single-payer medical insurance system. By July 1, 1968, every province in the country had signed on to this system and all Canadians had access to public medical insurance. This national achievement in social policy came after a series of incremental political struggles for social security that went back to the interwar period following the First World War. 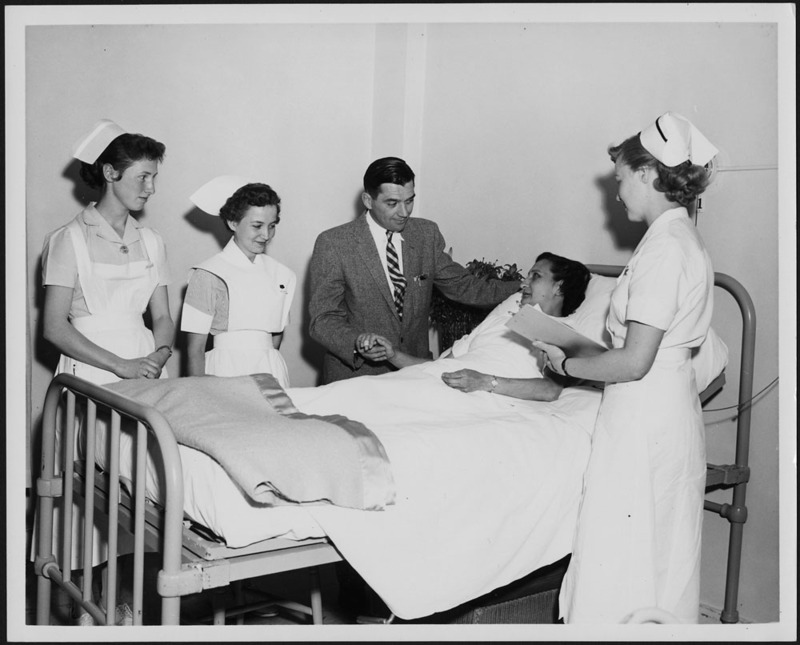 The province of Saskatchewan led the way with the country’s first public hospital insurance program in 1947 and innovated again with the first public medical insurance program in 1961. The struggle for medicare in Canada faced strong resistance from numerous constituencies: doctors, fiscally conservative politicians, reluctant provincial governments. In 1962, doctors in Saskatchewan went on a three-week strike to protest that province’s public medical insurance program. Members within the Liberal Party continued to debate the merits of a national medicare scheme throughout the 1960s. In this module, you will read the accounts of three people involved in the movement for public medical insurance in Saskatchewan and a journal article about the internal struggles within the federal Liberal Party over medicare.